Milk Paint is 100% natural and is made from five simple ingredients: milk protein (casein), limestone, clay, chalk and natural pigments. It is a zero VOC paint that is completely biodegradable and non-toxic. 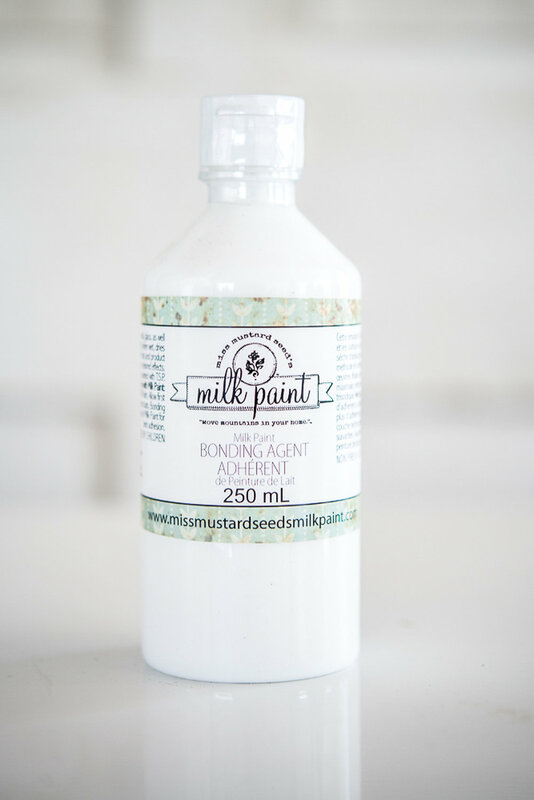 Milk paint comes in a powdered form and you simply add water to mix your paint. Milk Paint has been around for thousands of years. It was found in the pyramids in Egypt and on ancient cave paintings. It has also been used for many years on furniture, walls, barns, and more. Milk Paint is a versatile paint that can be used to achieve a variety of looks from chippy and distressed to smooth and sleek. Milk Paint is suitable for both interior and exterior applications and is naturally mold resistant. There are other pre-mixed paints on the market that try to mimic Milk Paint, but true Milk Paint always comes in a powdered form and contains only natural ingredients and does not contain acrylic polymer emulsion. Yes! Milk Paint is made from 100% natural ingredients. It’s environmentally friendly, non-toxic and contains no VOCs. How much will one quart of Milk Paint cover? This depends on the surface being painted and how much water is added when mixing. Typically one quart of a very light white will cover approximately 50 - 70 square feet. A darker colour will cover 70+ square feet. For example, one quart will cover a large armoire/hutch OR a dresser and two side tables. When mixed as a stain, one quart will cover approximately 150 square feet. Milk Paint is one of the best paints for raw wood! No preparation is required on raw wood. Milk Paint can be a stain or a solid opaque paint, depending on how much water you add. The color will penetrate the wood for a lasting finish that won’t chip or flake. This makes it an ideal paint for raw wood cabinets, floors, and furniture. On a previously painted or sealed surface (like a varnished piece of furniture) you can achieve two distinct looks with milk paint. If a “chippy” and distressed look is desired, do not prep the piece. If you prefer a sleek and smooth look, you can simply add Bonding Agent to the first coat of paint to ensure proper adhesion. That will make the first coat act almost like a coloured primer. You do not need to add the Bonding Agent to the second coat of paint. What is a “chippy” and distressed look? The finish on which you are painting: is it sealed, shiny, or painted? If it is raw wood or porous, the Milk Paint will be absorbed and will not chip or flake. A resist, like the Wax Puck or Hemp Oil needs to be used. Milk Paint will “resist” surfaces in which it can’t be absorbed. This resisting will create chips and flakes. It is possible for the milk paint to flake away from the entire piece if the surface is too slick and doesn’t have any “tooth”. To achieve some “grip”, sand where you want adhesion or add the bonding agent on areas where more coverage is desired. It may take some trial and error, but Milk Paint is the only paint that will create an authentic, chippy finish, so it’s worth trying! How do I create a crackle effect? Paint your piece and apply direct heat immediately after coating (such as a blow dryer or heat gun) to areas you want to crackle. This is a really easy, natural crackle to achieve without having to use a crackle medium product. When the surface is previously finished, painted with a non-porous paint or sealed, Milk paint will resist and chip if it cannot be absorbed, as it is in porous surfaces and raw wood. The ratios of bonding agent can be adjusted depending on the amount of seal or shine on the piece being painted. Do not use the bonding agent or only use it in select areas if a “chippy” look is desired. Remember that painting a pre-finished surface without sanding and/or using the Bonding Agent is unpredictable! What is the best way to mix Milk Paint? There are many ways to mix the Milk Paint. Milk Paint can be a stain or a solid opaque paint, depending on how much water you add. 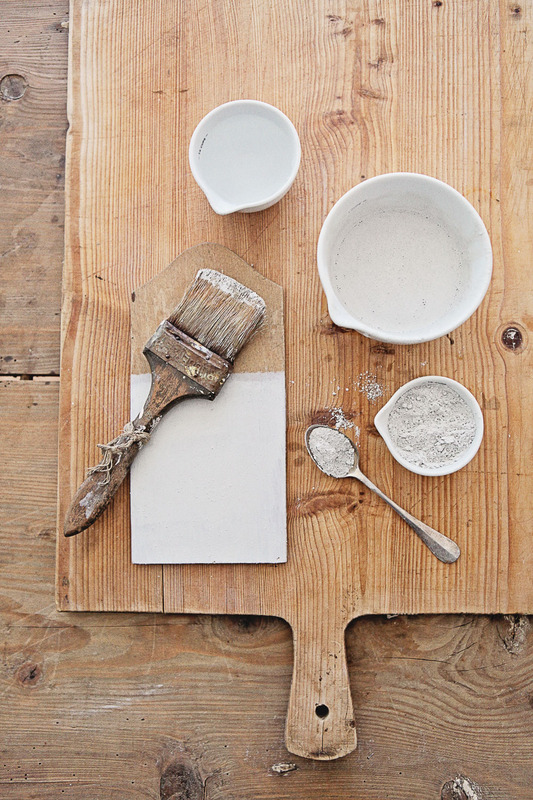 For a solid opaque look: mix one part water to one part Milk Paint powder. Mixed Milk Paint should have a table cream consistency for opaque coverage. Once satisfied with consistency, test out a small sample to see if desired consistency is reached. If the brush drags, the mixture is too thick (opaque) and you need to add more water. If the paint drips and is too thin (transparent) and you can add more powder. Adjust as required, and start painting! For a stain/wash: Mix 3 parts water to one part Milk Paint powder. 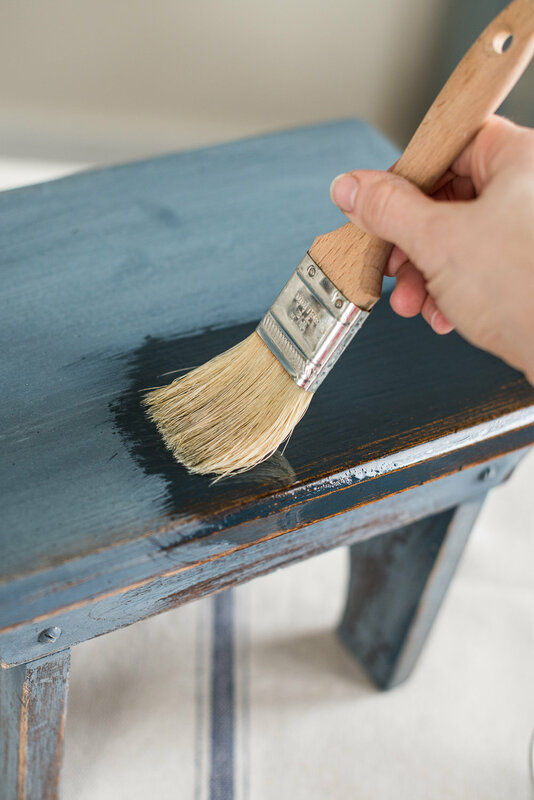 Any Milk Paint colour can be used to make a stain. Add water to container/jar first, then add powder and mix with a spoon, a whisk, electric milk frother or blender. For a super smooth finish use a blender for best results. My paint looks lumpy and uneven – is the Milk Paint bad? The majority of the texture and application issues lie in the method the Milk Paint was mixed. A good mix is key to a great finish. Make sure you are stirring your Milk Paint until most of the paint is dissolved. A mini whisk, milk frother, or blender are great tools for smooth mixes. Let the paint sit for a few minutes after mixing to allow limestone and clay to dissolve. If you are painting a large project, stir the paint every few minutes to prevent clay from settling and pigments from separating and dip your brush all the way to the bottom of the container. The paint at the top will be thinner and more translucent, especially if a frother was used to mix paint. Some lumpiness is normal and will usually brush out once paint is applied. Small lumps can be smoothed out with a fine sand paper after it’s dry, and can lead to some unique finishes! I wanted my piece to chip, but it didn’t. How can I make it happen? If you want the Milk Paint to resist certain areas, we recommend trying an advanced technique by using the Hemp Oil or Wax Pucks. Simply apply the Hemp Oil generously in areas where chipping is desired. Apply the paint immediately over entire surface. The paint will look will separate and pool some on the areas where oil was applied. Don’t over work the paint on those areas. As paint dries, it will start to peel and flake, creating and authentic, chipped finish. Wipe or light sand loose paint and finish with any MMS Wax or Hemp Oil. 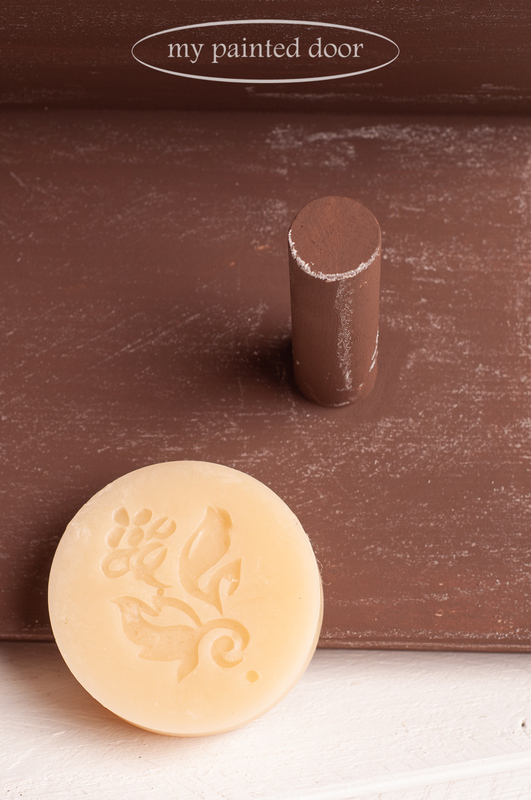 To use the Wax Puck as a resist, apply one coat of milk paint and allow it to dry. Rub the Wax Puck over the edges, corners and “high points” of the piece. Anywhere the wax is applied will resist the paint, so make sure it is applied randomly and in places where paint would naturally wear over time. Apply a second coat of milk paint and allow it to dry completely. Distress surface with fine grit sand paper or damp cotton cloth to easily remove the paint where wax was applied. revealing first coat underneath. Finish with Furniture Wax, Hemp Oil, White Wax or Antiquing Wax. Both give authentic aged patinas! The piece I painted chipped a lot and I don’t want it to chip any more. How can I prevent it from continuing to chip? Super chippy pieces will need a coat of Tough Coat (a water based sealer) to prevent future chipping. Do not use Hemp Oil on these finishes as the Hemp Oil may cause it to continue chipping. If the piece chipped some, all of the loose paint has been removed and the rest is adhering well, Furniture Wax, Antiquing Wax, White Wax or Zinc Wax will provide a wonderful finish. The piece will not continue to chip unless exposed to intense sunlight or extreme heat. 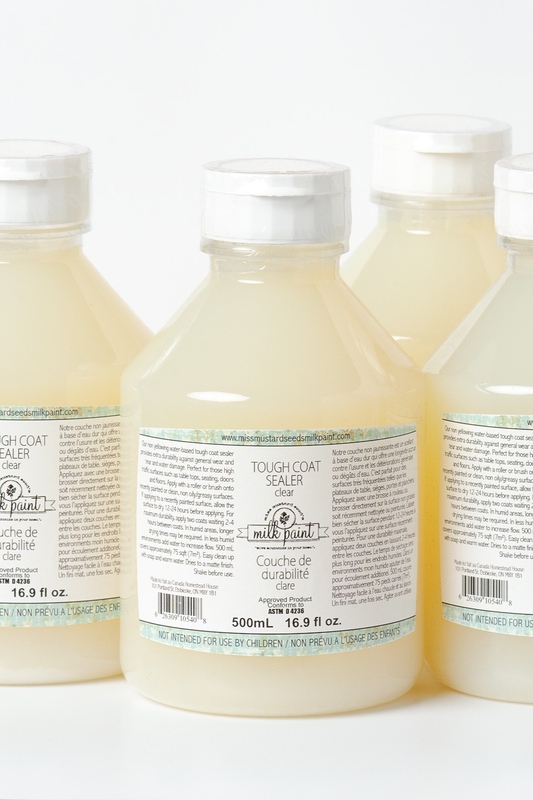 When should I use Tough Coat instead of wax or hemp oil? We advise our Miss Mustard Seed’s Tough Coat for high-traffic areas. It’s very durable and water-resistant. Kitchen cabinets are a good example … they endure a lot of wear and tear, water, grease and stains. Wax and hemp oil have great protective qualities, but both will only endure a lot of water or aggressive household products for only a short amount of time. The more you clean or scrub your cabinets, the faster the wax or hemp oil will wear, dry out and will have to be reapplied. Furniture Wax is used as a protective topcoat. It’s similar to other waxes on the market, except it’s creamier and very low odor. 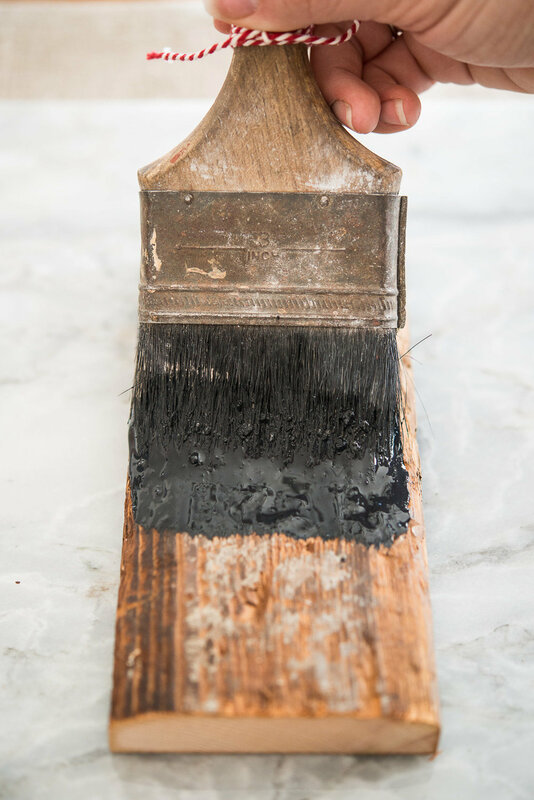 Apply it to a piece of raw wood, stained wood or painted furniture with a cloth or brush. Buff after about 5-10 minutes. Apply additional coats for a higher sheen and more durability. Is wax a durable finish? Yes, it’s a very durable finish. If it’s marred, just lightly sand and add another coat of wax. Refinishing the entire piece is not required. What’s the difference between Antiquing Wax and Furniture Wax? Antiquing wax has dark pigment in it that will age and darken your paint. Furniture wax will dry clear and give your colors the richness that they need after they dry. Can I use the Furniture Wax, Antiquing Wax or White Wax over other paints? Or can I use another brand of wax over MMS Milk Paint? Yes, you can use other waxes on Milk Paint and you can use our waxes on acrylic, chalk/clay paints, flat latex, stained wood, etc. What’s the difference between MMS Antiquing Wax and other “Dark Waxes” on the market? MMS Antiquing Wax was developed specifically to be used to antique paint finishes. Dark waxes are meant to be used as a wood stain/wax in one. Because of that, the dark wax is very saturated with pigments and can look heavy and streaky on a finish if not mixed with clear wax or mineral spirits. Antiquing Wax only has a small amount of pigment, so it works more like a glaze with the body of a wax. This product is also low odor and can be applied with a brush or clean cloth. What is the Hemp Oil? Hemp Oil is a finish that is a nice alternative to the wax. It is all natural, so it’s great for people who are sensitive to chemicals. Hemp Oil is best when it’s applied to a porous surface (like raw wood, stained wood or Milk Painted raw wood.) It will absorb into the surface, creating a durable finish. It can be used over Milk Paint over an old finish as well, though. Wipe on with a clean cloth, wipe away excess. Apply additional coats for more shine and durability. This is also a great product to revive dry, tired wood. 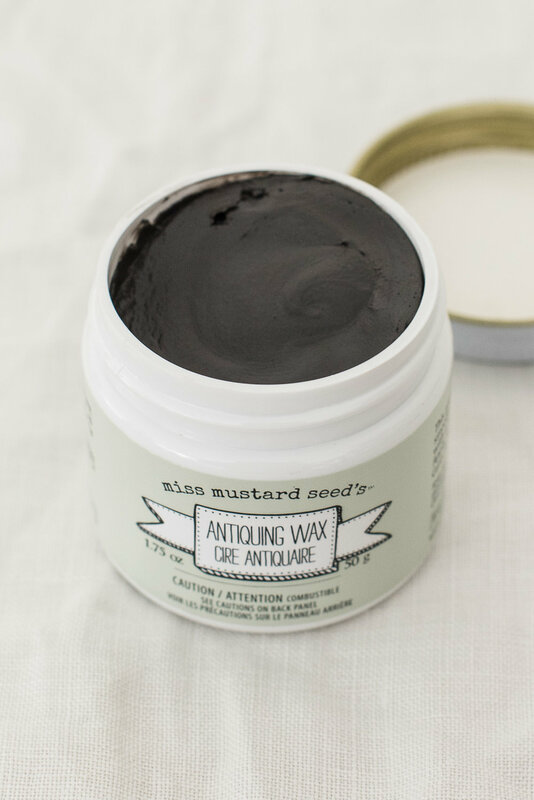 When should I use Hemp Oil instead of Wax? As stated above, Hemp Oil is 100% natural, so it’s the ideal finish for customers who love and use Milk Paint because it’s all natural. It’s a food safe finish that can be used on cutting boards, butcher block counters and kitchen tables. Hemp Oil is also great for projects that will be used outside. Once it cures (after approximately 30 days), it protects and wears beautifully in the elements. Wax will break down and emulsify in the heat. We do not recommend waxing pieces that will be in the heat, sun or rain. For an extra durable interior top coat, apply a coat of Hemp Oil and let dry, then apply wax on top. Remember wax over oil, never oil over wax! 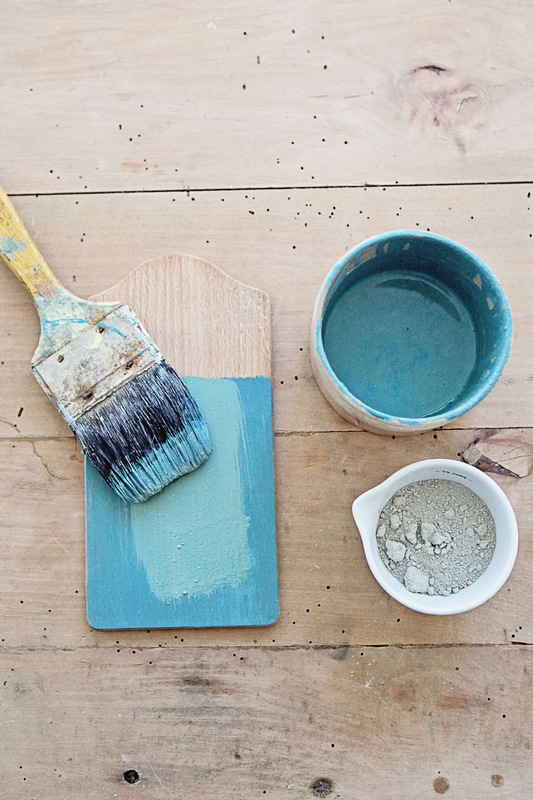 What is the difference between Milk Paint and Chalk Paint? Milk Paint comes in powdered form and needs to be mixed with water. Chalk Paint is sold in a tradition liquid quart. Milk Paint has great adhesion on raw wood that will never chip/peel or fade. Add the bonding agent on previously finished surfaces to improve adhesion. Chalk Paint has great adhesion on most any surface without the addition of a bonding agent. Milk Paint will show wood grain in most cases and can be used as a stain. Chalk Paint is thicker and covers wood grain in most cases. Milk Paint can be distressed and/or crackled and will resist some finishes giving an authentic chippy, aged look. Chalk Paint can be distressed and crackled, but will not chip. Milk Paint is a 100% natural and is made from five simple ingredients. It is a zero VOC paint that is completely biodegradable and non toxic.